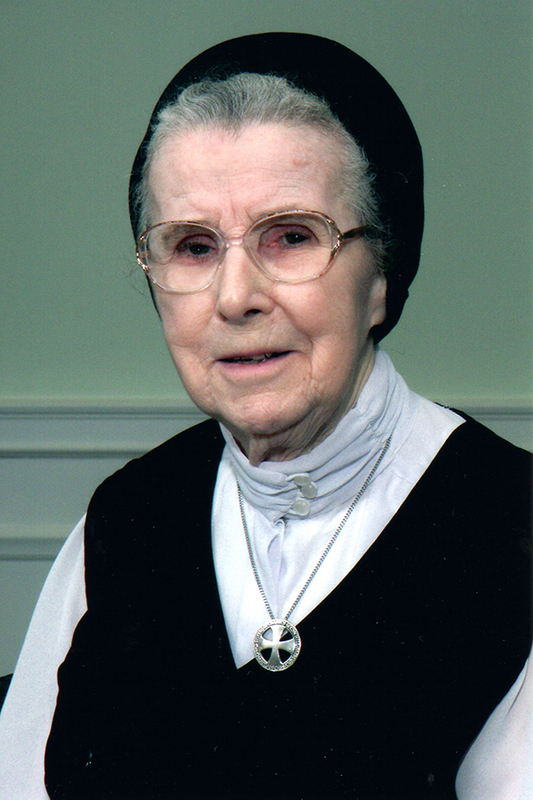 SISTER MARY COLEMAN KILKEARY, age 100, died at Caritas Christi, the motherhouse of the Sisters of Charity of Seton Hill in Greensburg, on February 20, 2018. Born in Pittsburgh, she entered the Sisters of Charity on March 25, 1934, from Resurrection Parish, Brookline. Preceded in death by her parents, Joseph and Sara (Keenan) Kilkeary, three brothers, Joseph, James and John, and a sister, Sister Ann Agnes, SC, she is survived by nieces and nephews. An elementary school teacher and principal, Sister Mary Coleman taught in the Pittsburgh Diocese at St. Kieran, St. Luke, and Holy Innocent Schools. She was principal at St. James School, Wilkinsburg, and vice principal at Resurrection School in Brookline. Her other assignments included teaching in Altoona, Scottsdale, AZ, and Lakewood, CA. In 1976, she began working in the Treasurer’s Office of the Sisters of Charity as an insurance clerk and as administrator of the congregation’s social security and PACE programs. Well-loved for her generosity and dry wit, Sister Mary Coleman retired to Caritas Christi, the motherhouse of the Sisters of Charity in 1999, where she continued to volunteer her services.